This year Samsung has already revealed their set of flagship devices in San Francisco back in February 2019. 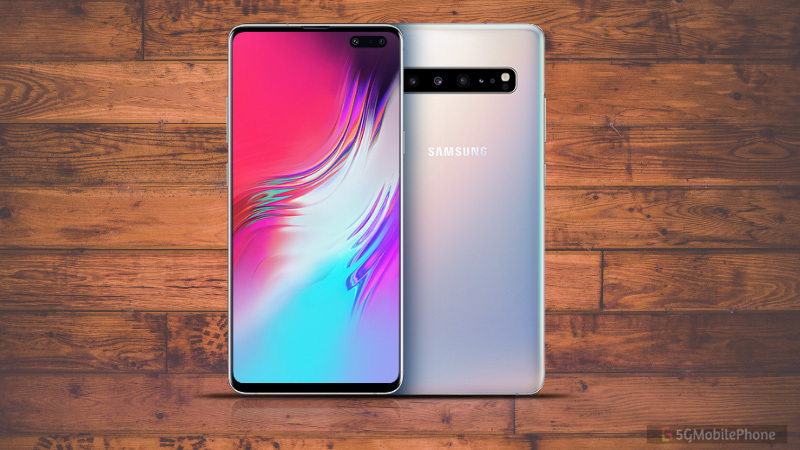 Their array of flagships include the Samsung Galaxy S10, Samsung Galaxy S10+ and the Samsung Galaxy S10E. Back then there were speculations about a 5G enabled S10 but the device was not revealed back then. Now the wraps are taken off and with the previously launched three Galaxy S10 devices, the “Samsung Galaxy S10 5G” is also now officially launched on April 5. The launch took place in South Korea, and as of now, it is only available there for purchase. The country is now a 5G service enabled nation, first among all the others to do so in such a bigger scale with the help of South Korean telecom operators (KT, LG Uplus, SK Telecom). The difference between the normal three S10 variants and the 5G variant lies with the charger that comes with the box. The previously launched S10 devices come shipped with a 15W fast charger while the new 5G variant comes with 25W fast charger. This is the only fundamental difference between the two series besides the 5G connectivity. Also, the charging cable on the previous variant came with a USB-B to USB-C cable while the new variant comes packed with a USB-C to USB-C cable. Coming to the device, the 5G variant sports a bigger 6.7 inch Super AMOLED display, a bit tad bigger than the previous 6.4-inch display. On top of it, the new 5G variant comes with three rear cameras, two of them 12MP lenses and the third one a 16 MP lens. However, for the front, it maintains the 10 MP sensor. In terms of battery, the phone features a mammoth 4,500 mAh battery that would easily last a day, and together with the 25W charger, the battery won’t be an issue at all with this device. How Much Does the Galaxy S10 5G Cost? As far as the pricing is concerned, this is the most expensive one among the four S10 variants. For now, it is available only in two storage variants in South Korea. The base variant with 256 GB of internal storage is priced at KRW 1.39 million. In terms of USD, it sums up to approximately $1,231. For the higher 512 GB variant, the price is set at KRW 1.55 million which rounds up to about $1,366. There is no real information on a global launch of this device, but considering how 5G is still a work in progress for many countries, the launch will depend entirely on the network providers. By the looks of it though, it seems to be a long way for the global market to see a 5G smartphone launch within this year. The pre-order for Galaxy S10 5G will be starting soon on Samsung US official website, and it will go on sale in the US in May 2019. The US carriers such as Verizon, AT&T are expected to offer S10 5G across the country.